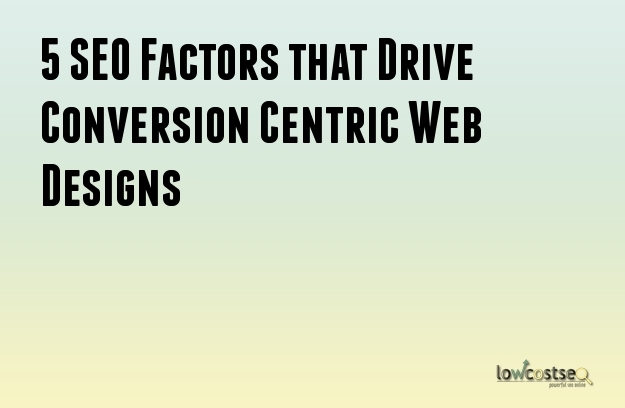 Focusing on conversion centric design is the first step to building an SEO optimized website. A lot of website owners fail to realize this. They focus more on advertisement banners, landing pages and even on promotional newsletters, while totally forgetting about the main website. Quite oddly, the website is like the mother tree from where other web pages off-shoot. At least, that’s how it looks if you look at the website map chart. Conversion centric design focuses on creating experiences aimed at driving visitors towards specific business goals. This is more than just about creating pretty websites with cool graphics and colorful typographies. It’s more about following certain psychology principles and elements to help make a certain conversion funnel work. As mentioned above, conversion centric web designs follow certain principles and goals. They are interesting to learn about because all of these are incorporated into the general elements that make every web design. As a designer you might be using them always for any design related project. The only thing is that, you never knew about it. But the truth is, every design element when placed on a website layout, needs to follow certain principle patterns in order to make a particular conversion count. This is a kind of an SEO technique, where you design a frame in order to direct all attention on a particular feature and trap the viewer until one converts. The technique of encapsulation can be done with anything, be it the images, the graphics, the testimonials or even as small as a CTA button. Color plays an important factor in encapsulation. Colors have always been an important aesthetic when it comes to evoking the right kind of emotion from the audience. This is about persuading viewers and subtlety nudging them to take a desired action. The action could be anything that you want the customers to take. Such as – buying, signing or maybe clicking to the next page. These are like visual indicators, the purpose of which is to take a viewer’s attention to the expected conversion focal spot. While using arrows can be a simple technique used to draw the line of sight, other methods are the implementation of the right graphic positions to direct the attention subtly. It’s not loud but is a sophisticated approach that makes the reaction to conversion feel something that is happening naturally. White spacing helps to create a kind of natural balance. It prevents any kind of unwanted clusters that can spell disaster from using too many elements on the same page. This prevents the visitor from getting swayed away by multiple actions at the same time – a kind of disaster that will ultimately result in no conversion. The perfect example that you might want to refer to is Google’s home page. A website design is incomplete without some kind of social proof. People like to feel like belonging to a particular group and social proofs help to fulfill this. These can be anything like case studies, endorsements; user generated content or even reviews. There is more to creating conversion centric designs that you might not have thought about before. If you are not sure how to get started with this, then try consulting with an SEO expert for help first.